From their classic release of sci-fi rap comes the remix of “Zhombie Joint”. Track architect Dynamics Plus revisits this ambitious piece from Scientific Community/Magnify Lenz and bathes the track in blood for the Blood Bath Remix. Available everywhere fine digital music is sold. It seems fitting that, all at once, Force Six, The Annihilators arrives in all the major digital bookstores and the episode trailer for both the comic AND its soundtrack go live. It’s an excellent time in the early life of the Annihilator title. Thanks to all – with their words or encouragement and supportive comments. The Patreon crew and the direct down-loaders. It’s the soundtrack for the Digital Comic Force Six, The Annihilators episode 01 Trick Shot. Fallout Shelter and standout vocalist Dynamics Plus bring sounds to the sights of The Dynamic Universe. It’s music from and inspired by Drew Spence’s illustrious illustrations. Read the comic and enjoy the acoustics. The soundtrack is available for all the Patreon $upporters and hits the distribution portals at month’s end. Go Dynamics, go Dynamics! Here are some links to link with.. Thank you for supporting The Dynamic Universe! We are a creative engine- turning out Graphic Comics, Music and Video. Help us generate new content by getting involved. 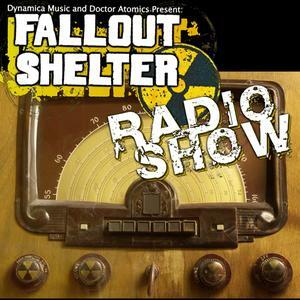 We are Recording Artists Dynamics Plus, Domino Grey and Fallout Shelter. We are Mark of the Griffin. 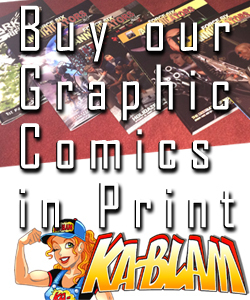 We are Dynamica Comics – serving you graphic comics and art. Our tastes swing from ambient to epic, from the symphonic to the synthetic. Thank you for joining us on this amazing ride. Together, we’ll bring the far future – closer, faster. Get involved for behind the page access, exclusive and un-edited content, new music and art. Add your voice and help decide where we go next. It’s your universe. We’re just here to make it more Dynamic. Thank you for your support. It means everything. Firstly, you are NOT buying a product. You are $upporting The Dynamic Universe and, in turn, getting FREE access to everything we create based on your level of support. You can increase, decrease or modify you $upport level at any time you wish. 1) WHY and HOW does the $upport per release vs monthly contribution work? Since the amount of releases per month may change, we feel it is best to accept your pledge ONCE per month. If we do not release any material, you simply do not pay anything for that month. Also, for example, if you pick the $8.00 level of support and we release three projects, you will NOT be charged for each product. You would be charged your one-time contribution of the $8.00 for the ENTIRE month and receive your complete share of the Dynamic Universe content. 2) What do you create and release? The Dynamic Universe is the combination of the AVXP music label (Dynamica Music) and Dynamica Comics. We are home to recording artist Dynamics Plus, electronic music producer Domino Grey and the instrumentalists Fallout Shelter. We produce graphic comics with the lead title being Force Six, The Annihilators. We have plans to branch into other mediums and properties. As we get a better idea and a reliable timeframe, all of our Patreon supporters will be updated. 3) Can I just give you something in one lump sum? Sure! 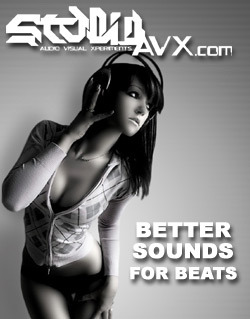 What I suggest is heading over to the Dynamica Music store and grabbing a few titles. (http://www.dynamicamusic.com/store.asp) Grab multiple copies of the same release if you feel the urge to show some super love this way. 4) You have quite a collection already. Can we get your old stuff? 5) Do the Patreon $upporters have real influence? 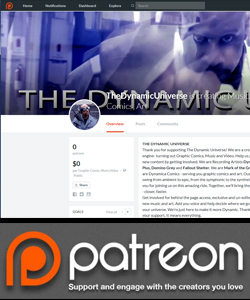 For Free Content, you should subscribe to the Dynamic Universe Blog, our youtube.com/DynamicaMusic channel and follow the various artists on the roster. 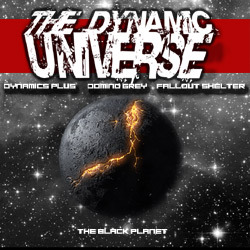 Dynamics Plus, Domino Grey (@DominoGrey), Fallout Shelter, Mark of the Griffin(@MarkoftheGriffin) and The Dynamic Universe @DynamicaMusic. This is saying ‘Hey, I appreciate your work and want to drop in once a month and say hello.’ No amount of consideration is too small to overlook or take for granted. Thank you. 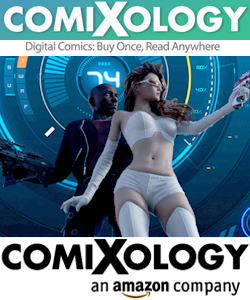 – Free download access of the Graphic Comics in PDF format. – and more is on the way! Thank you for $upporting The Dynamic Universe! Visual Arts from the Dynamic Universe. READ THE GRAPHIC COMIC NOW! A Rocket Science Love Story primer. Rocket Science is an album from Rap artist and producer Dynamics Plus. Dynamica Comics is turning many of the music videos created for that album into graphic comics. 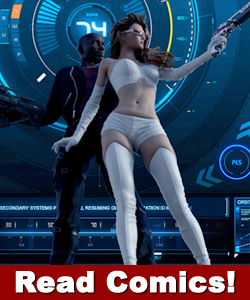 Expect a sci-fi bend and a moral twist to many of the stories. The photos and videos were shot by Samuel M Wimbley. The story and Art is by Drew Spence. Watch the video this comic is based on. Check out the Cut Supreme remix (video)! You can watch the Rocket Science album videos here. You can buy the album anywhere fine music is sold. You can find us on face book here. New Music from the instrumental crew. Fallout Shelter pin points and plucks strings to interact and gravitate towards a release that’s a somber simmering soundtrack to the fundamental forces and forms of matter. What matters is Domino Grey, Drew Spence, Dynamics Plus and Xodus Phoenix. @WUSB 90.1 FM: Philo$soul, The Host Cut Supreme and Dynamics Plus end the visit with a little Freestyle. Also on the scene was producer Anthony Michael Angelo. October 2016 Halloween Marathon. Today’s episode of the WOAFM99 Radio Show features breakthrough Indie Artists’ song’s that reminded us of old school legendary tracks that defined some of these genres these artists represent. Right from Pop Rock to Rap and Acoustic to Chillout. We suggest sharing the online podcast version and getting your fans to comment and like on Facebook/Twitter as that leads to additional airplay for your music on the WOAFM99 Radio Show, which is licensed and distributed for free to commercial FM Radio stations across India & Dubai and is also supported Internationally by PRX on Public Radio worldwide.